Brioletto is a super soft blend of 60% new wool and 40% polyester with an innovative construction. 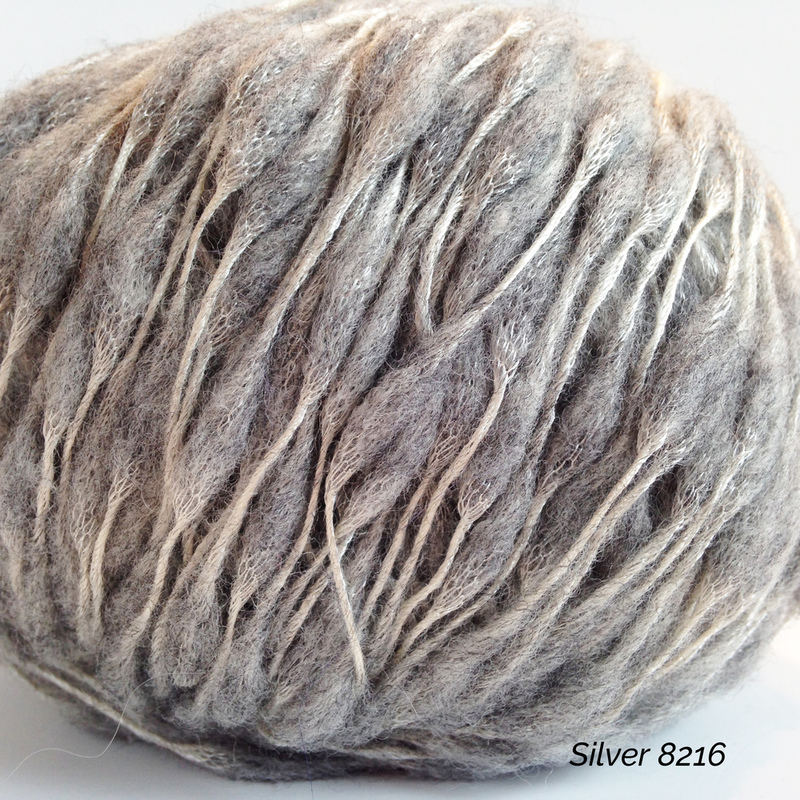 Shimmering polyamide fiber is knitted into a fine chainette yarn with additional texture created by regular bursts of merino wool fiber along the length of the yarn. It's a lovely combination of matte and shine with the wool adding softness and volume whilst the lustrous polyamide adds an elegant touch. Brioletto works up quickly and makes pretty garments, accessories and home accents such as elegant throws.